You're using an Apple Watch paired with your personal iPhone. As a result, you're receiving Apple Watch alerts from personal apps (texts, phone calls, email, etc) which distract you during the work day. Unfortunately, Apple does not allow for complete suppression of phone calls and messages on the Watch. The next best thing to do is to mute all disruptive notifications which go to your Apple Watch. 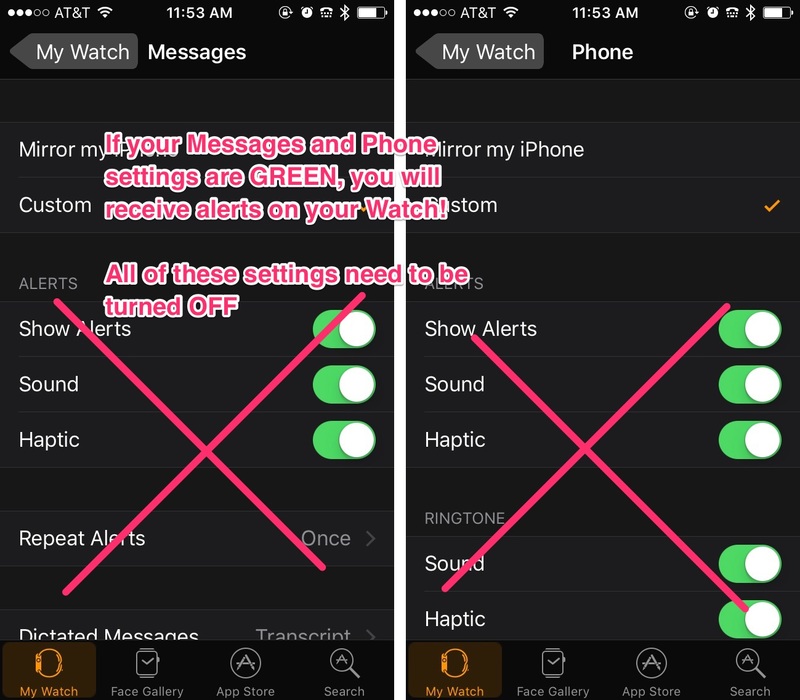 Follow these steps for muting calls and messages on the Watch. If the settings are correct, your Watch won't ring or vibrate. You will only see there's a text/call on the Watch if you happen to look at the Watch screen as it's coming in. 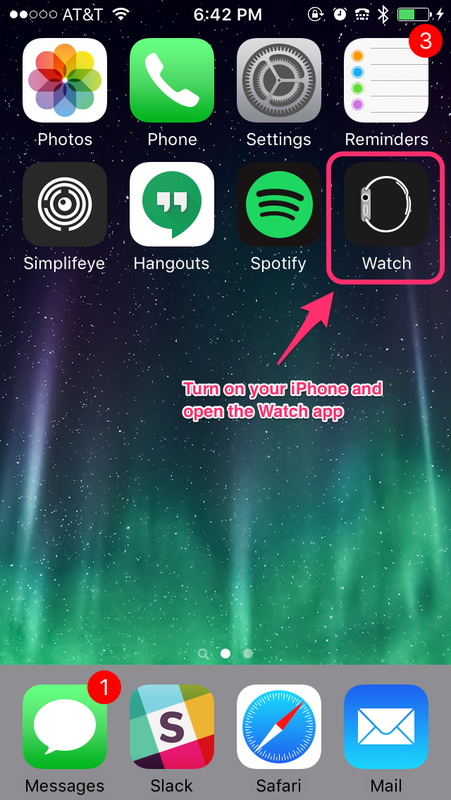 Step 1: Go to your iPhone and find the app called "Watch". Confusing, we know. Tap to open the app. 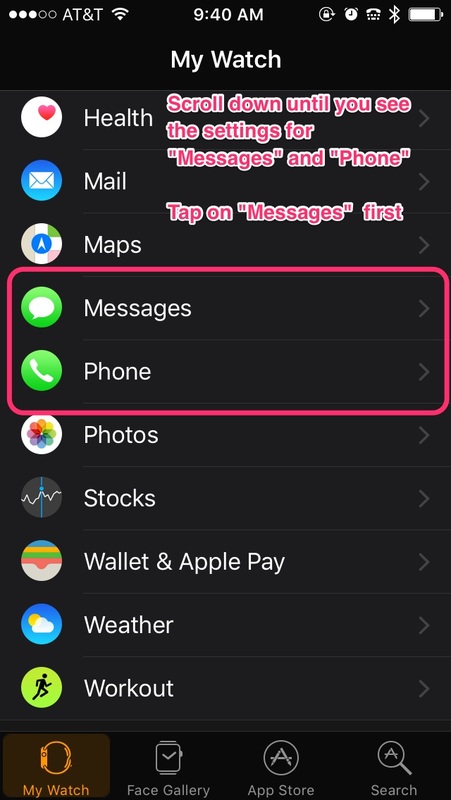 Step 2: Scroll down until you see "Messages" and "Phone". Tap to enter the settings pages. Note: If you have been receiving alerts and taps for calls/messages, your settings probably look something like this. We will make sure all of the "ON" switches are set to "OFF". Step 3: Configure Watch Messages settings. 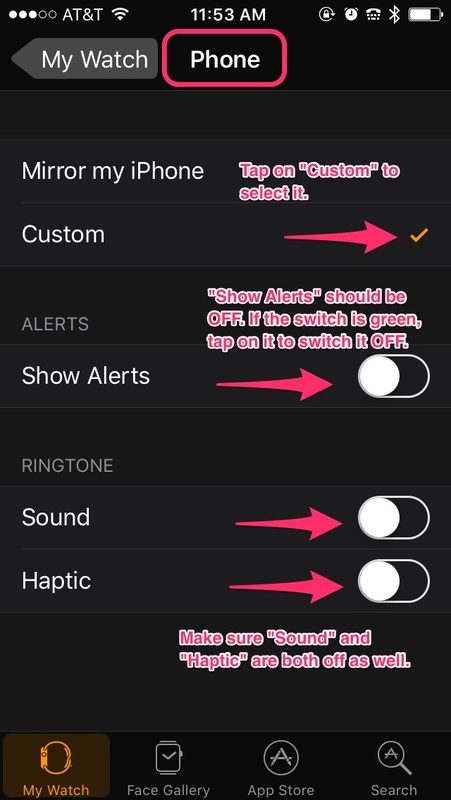 Select "Custom", then switch "Show Alerts" to OFF. Step 4: Configure Watch Phone settings. 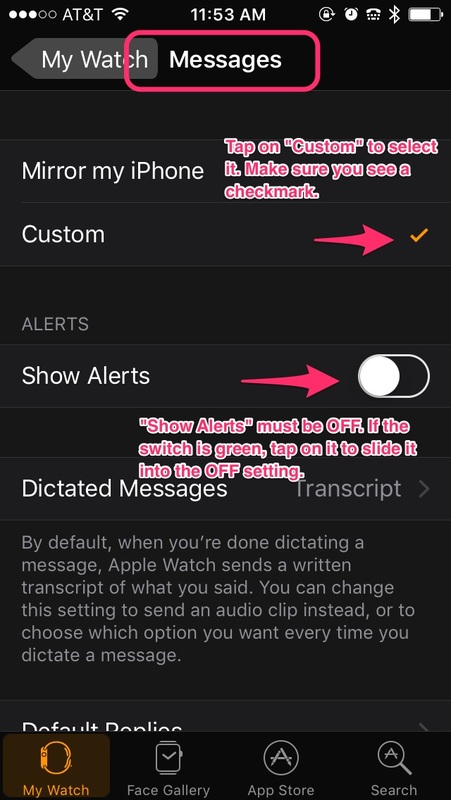 Select "Custom", then switch "Show Alerts" to OFF. For good measure, switch "Sound" and "Haptic" to OFF as well. That's it! You will no longer receive taps or sound alerts for messages and calls when you're wearing the Watch. If you're still having problems with disruptive notifications, please contact Simplifeye Support.